Our first look at the highlights of Baselworld 2017 focuses on value, the often-mythical junction of quality, style and price. Yes, many watchmakers at Baselworld this year are debuting cutting-edge technology and/or high-end design, often with exhilarating results. Take a look at the Slim d’ Hermès L’heure impatiente, the Hublot MP-09 Tourbillon Bi-Axis or the Porsche Design Monobloc Actuator for just a few new examples of interesting, even avant-garde technical achievements. Bulgari buzzed the show with its terrific Octo Finissimo Automatic, now the thinnest in its class, while Patek Philippe’s Aquanaut Travel Time Ref. 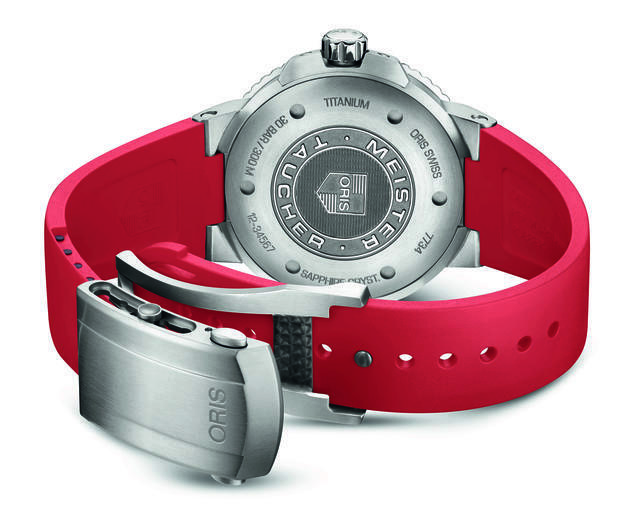 5650G showed off the brand’s advanced research into new materials and efficient time-setting mechanisms. 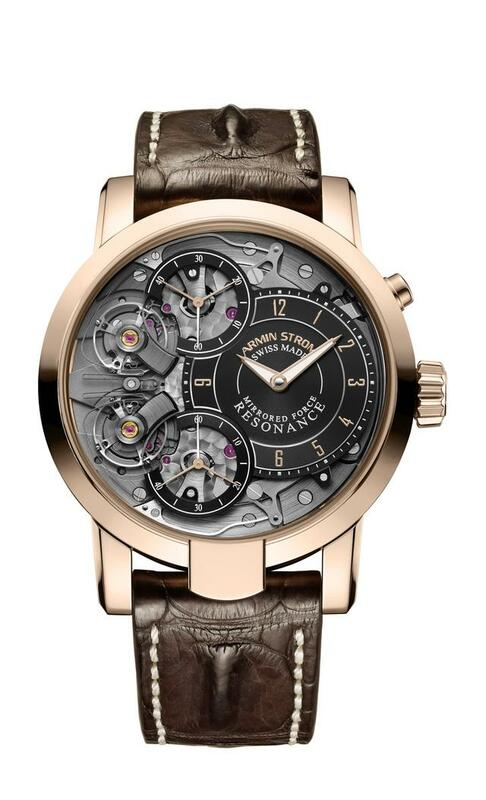 Likewise Armin Strom’s new Mirrored Force Resonance underscored the firm’s ongoing technical creativity. We’ll have more to say about these and many other much-discussed Baselworld 2017 watches later this week. In the world of relatively ‘affordable’ timepieces, where the vast majority of watch collectors live, Baselworld 2017 was encouraging. In fact, many exhibitors were careful to pay greater attention to value this year than was the case previously at this annual timepiece showcase. This attention by many to a strong price-quality ratio at Basel echoed a similar sentiment we found at the SIHH this past January. Strong feature-to-price ratios were evident at NOMOS, the German one-hand-wonder Meistersinger, Frédérique Constant and even at Breitling, which showed a 45mm high-end, COSC-certified quartz Colt Skyracer, made with an ultra-light Breitlight case, that will retail for $2,000, fully $1,400 less than the price of the automatic Colt Skyracer. 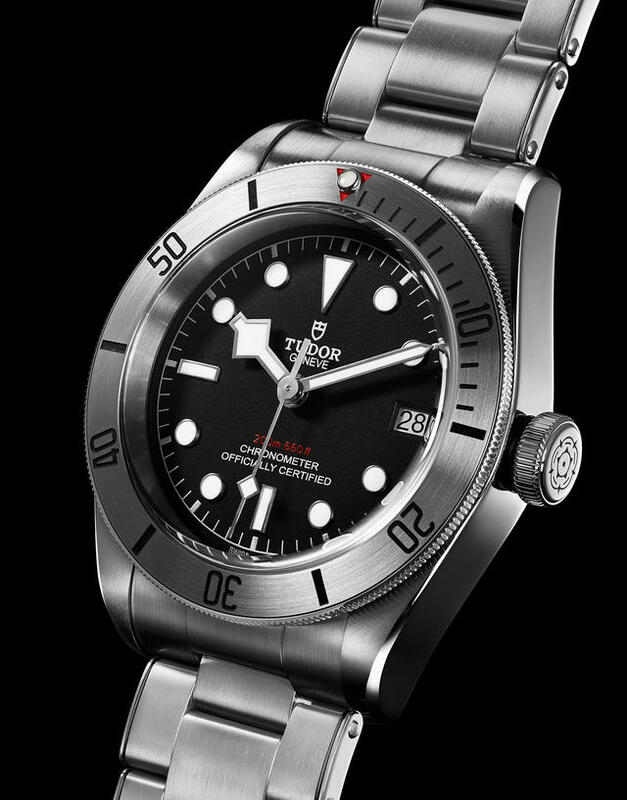 Tudor debuted several of the most publicized nods to value this year, with its 41mm Heritage Black Bay Steel (now with a date and a steel bezel, starting at $3,475) and its 41mm Black Bay Chrono, notably equipped with the MT5813, a new caliber made in collaboration with Breitling. 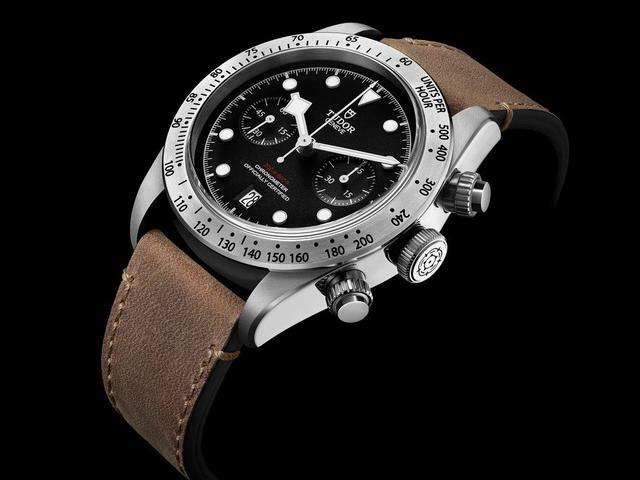 Tudor explains that the latter watch’s strong $4,725 opening price tag was made possible thanks to the serialized nature of the Breitling 01 (B-01) column-wheel chronograph caliber, which Breitling introduced in 2009. 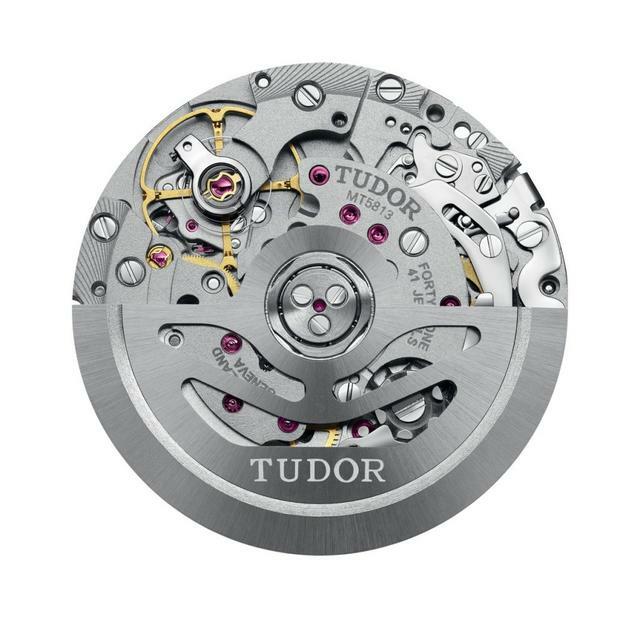 Tudor then added its own in-house adjustable mass balance wheel with silicon spring and a Tudor rotor to claim the final movement as its own. Tudor has also retained its unusual 45-minute counter at three o’clock. Oris debuts a full new collection that ranks high on my best-value list for 2017. From the pre-Basel release Artelier Caliber 113 ($5,900), which we presented to you earlier this year, to the 39mm 1970s-cool tonneau-shaped Chronoris Date (starting at $1,750), this brand again demonstrates a keen ability to re-imagine classic designs and make them affordable to a broad audience. The latter watch keeps its price down by relying on a Sellita automatic movement inside, but still manages to feature an inner rotating bezel and a selection of straps. For an extra $200 you can add a steel bracelet that expertly mimics the original fifteen-link style. 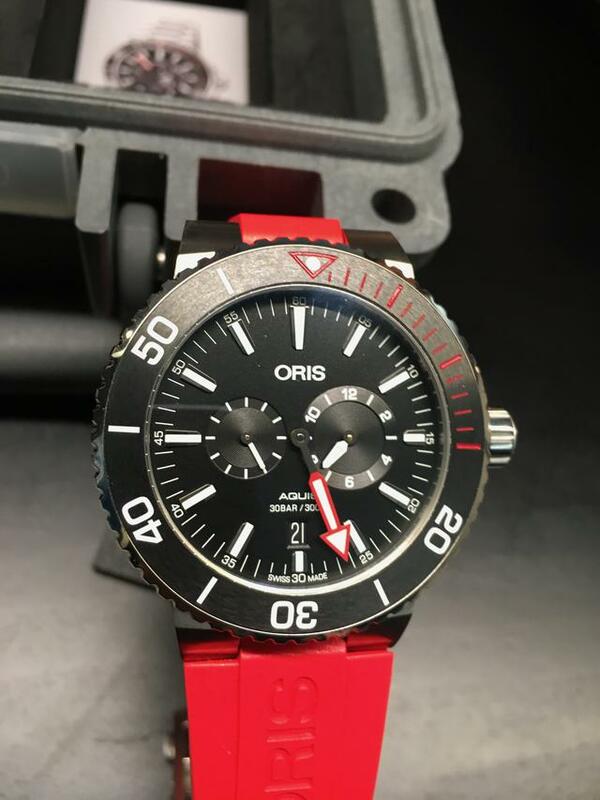 Oris also tugs at the hearts and minds of value-focused collectors with a new, slightly thinner 43.5mm Oris Aquis Date, the firm’s 300-meter diver for those of us who want to wear the look under a cuff. 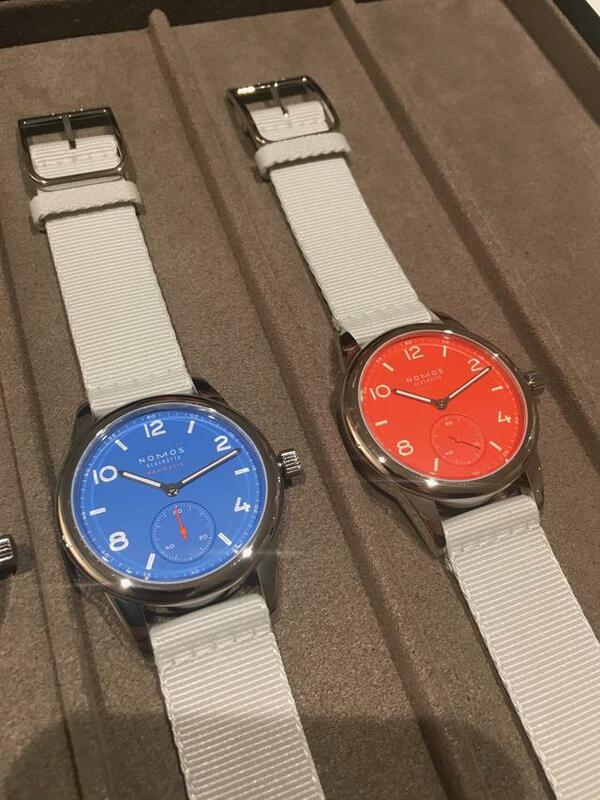 New hands, a redesigned bezel and terrific dial hues (blue, black with silver indexes or black with orange indexes) make the Aquis Date a terrific bargain at about $1,750 on a strap (final U.S. prices coming soon). 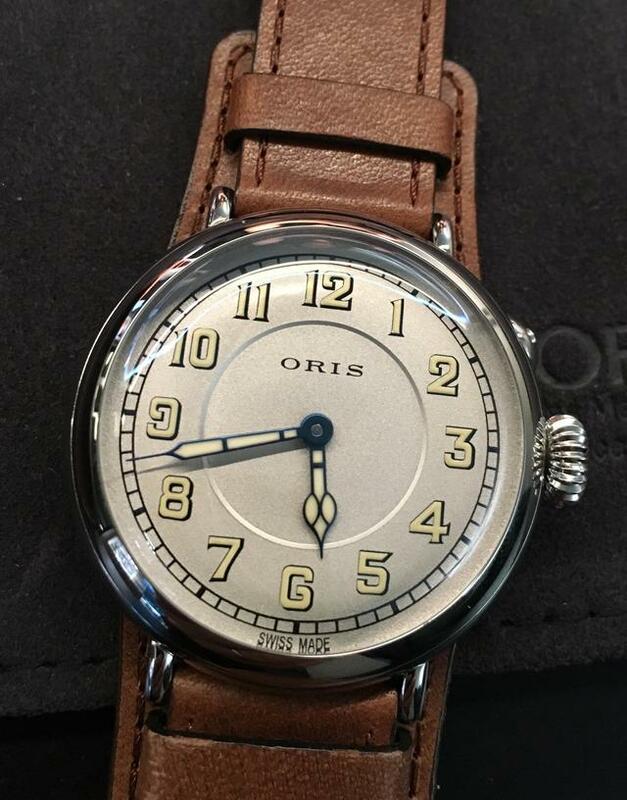 Perhaps my favorite of Oris’s new models is the Big Crown 1917 Limited Edition, which revives the brand’s first wristwatch from, you guessed it, 1917, which was essentially a brass-cased pocket watch with wire loop lugs soldered to its case. Oris nicely translates that watch by using the same Arabic numeral font and blue-steel hands (now illuminated with SuperLuminova) and retaining the same dial color scheme and curved crystal shape. The new 40mm Big Crown 1917 Limited Edition features a few more special touches. 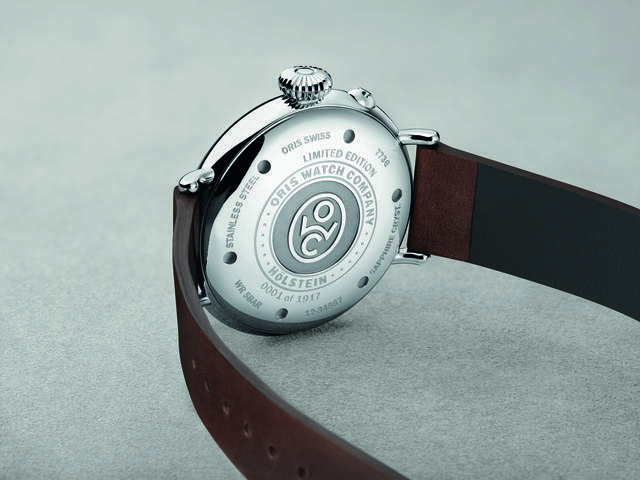 The case back is embossed with the original ‘OWC’ trademark, which stood for ‘Oris Watch Company’ and was used as a quality stamp on Oris’s gold pocket watches. 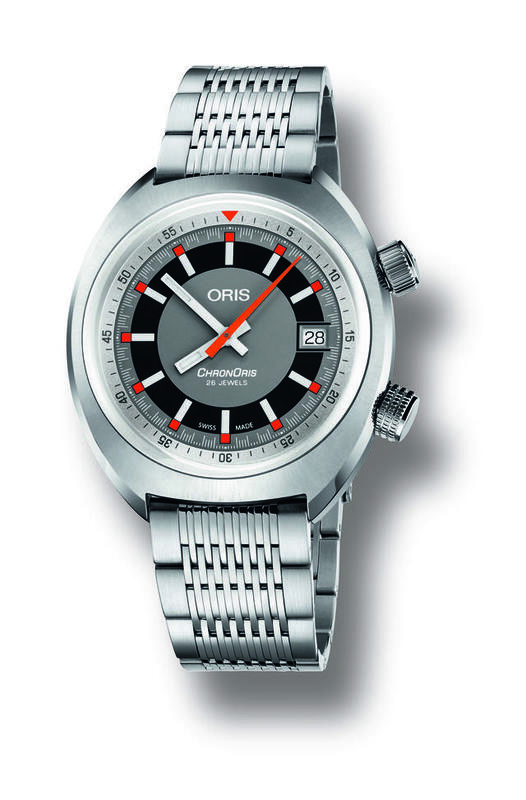 Oris has of course modernized the movement, now a Sellita-based version, and has created a practical time-adjustment lock/unlock pusher at 2 o’clock. The $2,600 watch will be made in a limited edition of 1,917 pieces. This brand’s always-impressive Grand Seiko division turned independent at Baselworld 2017 as Seiko has freed the higher-end line from the Seiko branding most of its dials have displayed. 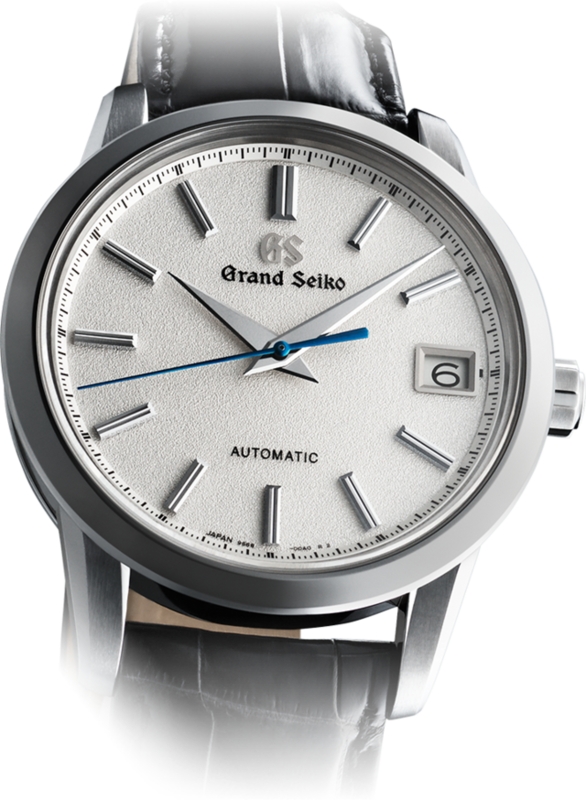 Now, all Grand Seiko dials will utilize only the ‘Grand Seiko’ logo at the top of the dial, not far from the firm’s historic GS logo. Also, collectors can look forward to distinct Grand Seiko boutiques. Several limited-edition Grand Seiko debuts again underscore this collection’s longstanding attention to high-end horology at prices far less than comparable European models. You may argue about affordability of a $5,700 watch, which is the price for the newest steel Grand Seiko 1960 tribute model, but feature-to-feature, Grand Seiko consistently presents compelling horology with strong value. And this year Grand Seiko continues to do so. 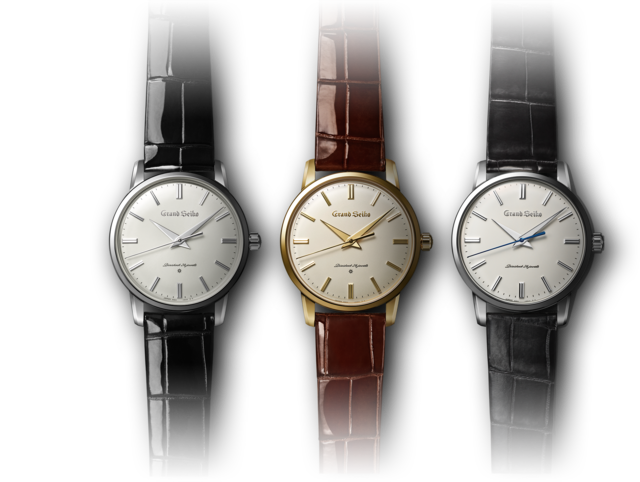 Its premier debut is a group of three 38mm manual-wind, limited-edition watches that mimic the firm’s first Grand Seiko from 1960. Made of steel, gold or platinum, all are fitted with the esteemed Grand Seiko caliber 9S64 and feature domed dials and monogrammed casebacks. 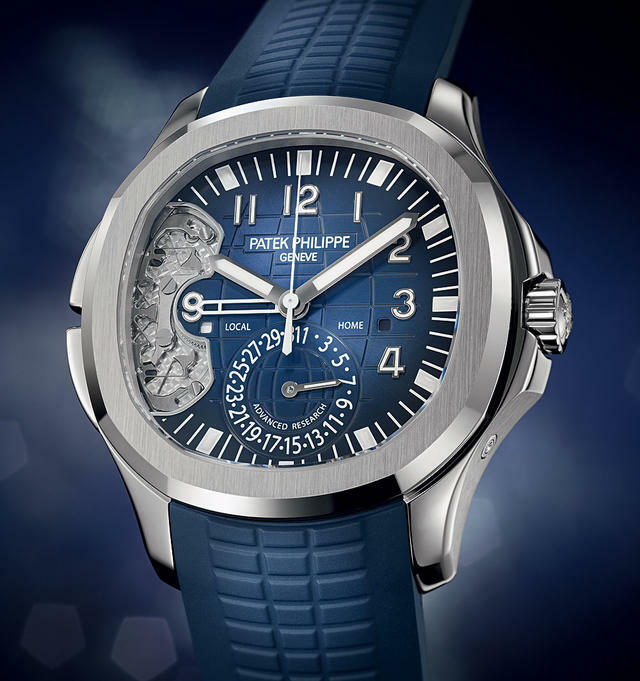 Prices, as noted above, begin at $5,700 for the steel edition, rising to $30,600 for the platinum model. A special 40.5mm hard-titanium-cased ‘modern’ adaptation of the first Grand Seiko will also be launched in a limited edition of 968 pieces, each priced at $7,200. 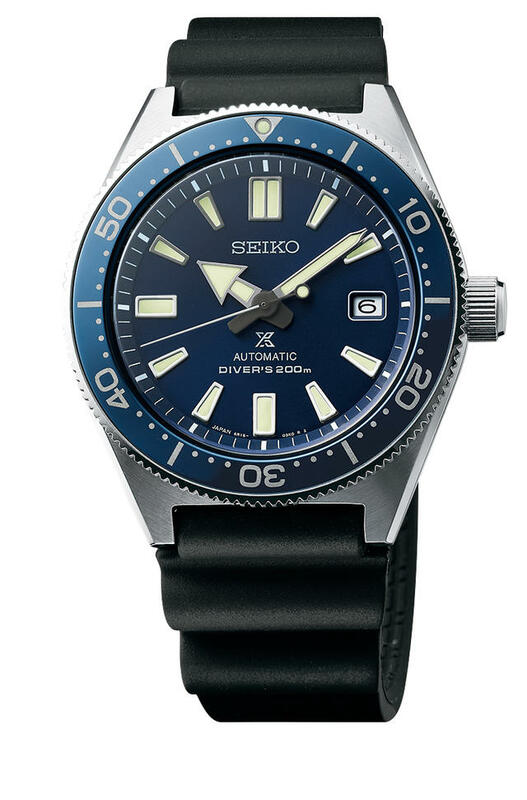 Seiko also re-created its first Prospex dive watch from 1965, which will be made in a 39.9mm hard-coated limited edition of 2,000, and priced at about $4,100. An even stronger value, however, are two more modern 42.6mm versions (Ref. SPB051 and 053) of that same original, with a different caliber inside, that will sell for between $800 and $1,000. 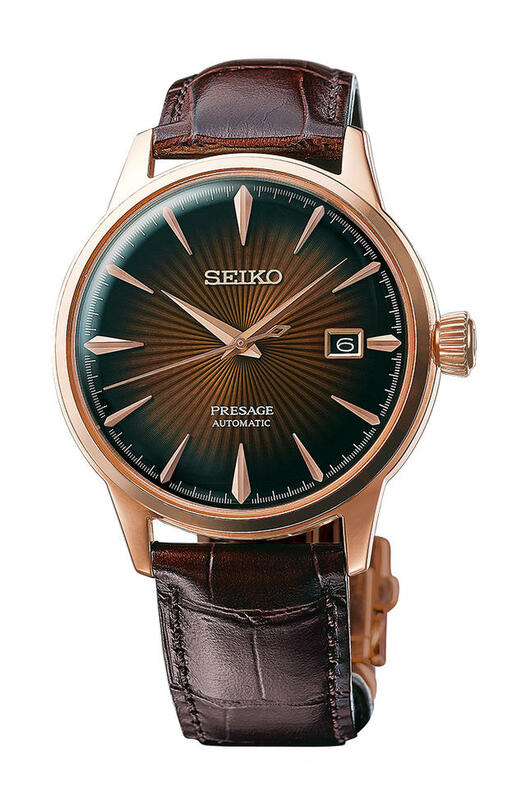 On a much lower price level, Seiko’s Presage collection ($425 to $525), which debuted last year, continues to draw accolades from collectors. A ‘cocktail-themed’ series this year was especially intriguing. Also from Japan, both Citizen and Casio offered compelling timepieces with strong price-to-performance ratios. Citizen’s new Eco-Drive Professional Diver 1000M is effectively the first light-powered watch that functions at 1,000 meters underwater. 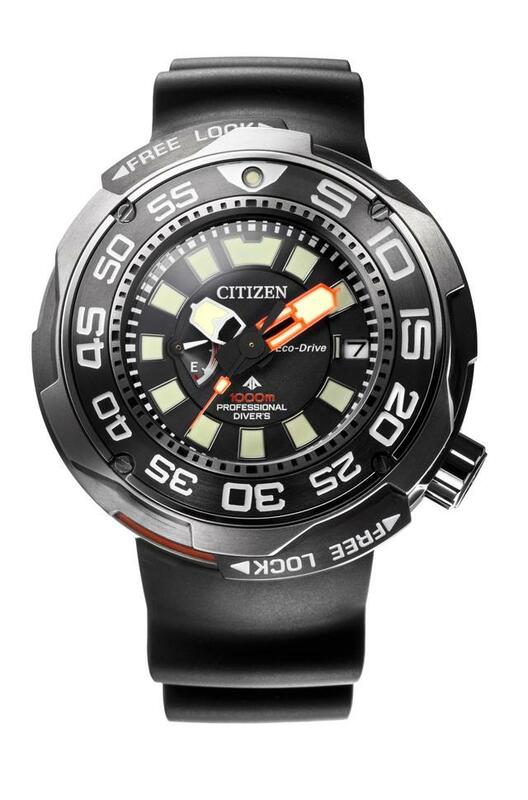 Citizen says the new 52.5mm watch, which enters Citizen’s tool-oriented Promaster lineup, has been tested to perform in true deep dive situations (saturation diving), which means the watch will handle the pressure at that depth while remaining fully visible and functional on the wrist. Price : $2,300. Citizen also debuted a outstanding new version of its Eco-Drive Divers 200M watch, with a rich blue dial and bezel and hard-to-beat $350-to-$395 price range. 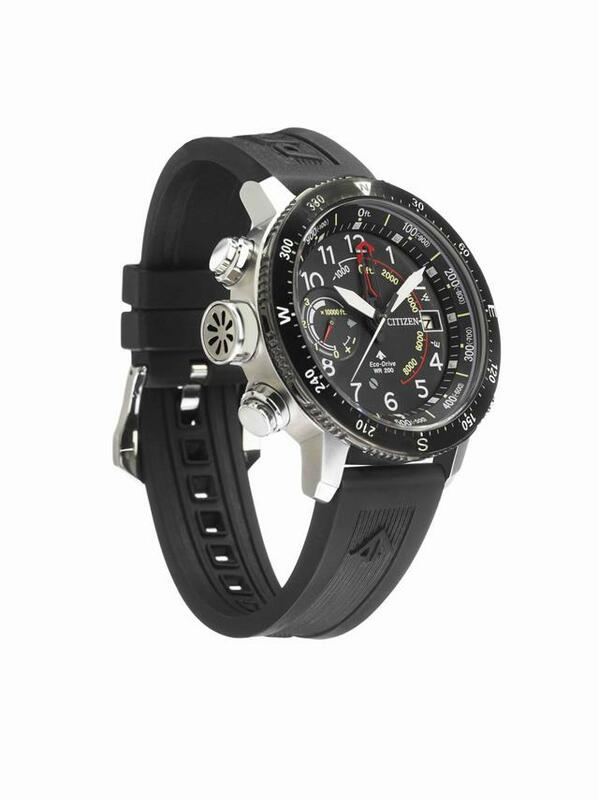 The Citizen Promaster Eco Drive AltiChron ($550-$660) will measure altitudes up to 10,000 meters and to depths of 300 meters under the sea. The wearer sees all the information in analog form on the 46mm watch rather than a digital format, so there is no need to switch away from the time display to check altitude or orientation. 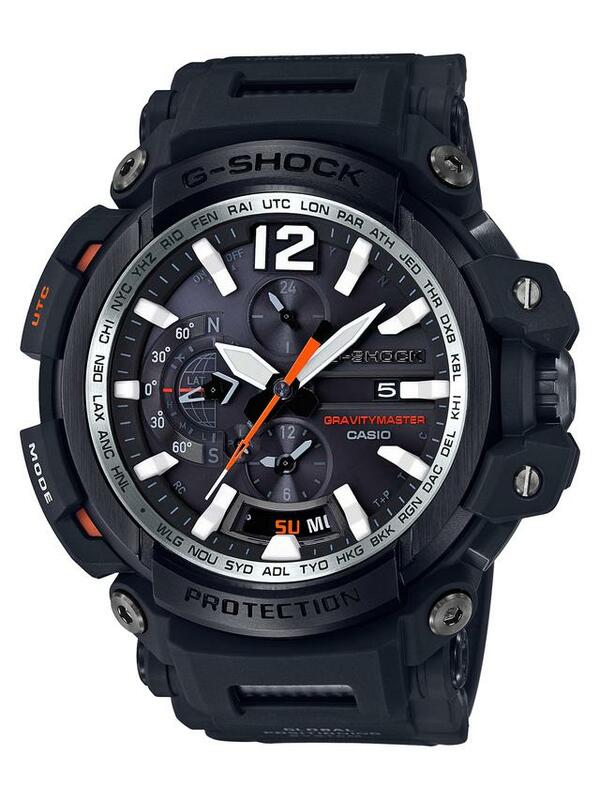 Casio’s Gravitymaster GPW2000-1A is G-Shock’s first-ever Bluetooth connected model in the Master of G series. It features connected GPS capabilities, plus something extra: Mission Stamp – a function that will record time and location, transmitting the information via Bluetooth to a special app, which can then be viewed in a flight log. The $800 watch also features a sapphire crystal, a carbon fiber second hand, a carbon fiber insert band and a carbon band lock insert. We’ll have more details about Baselworld 2017 debuts later this week.